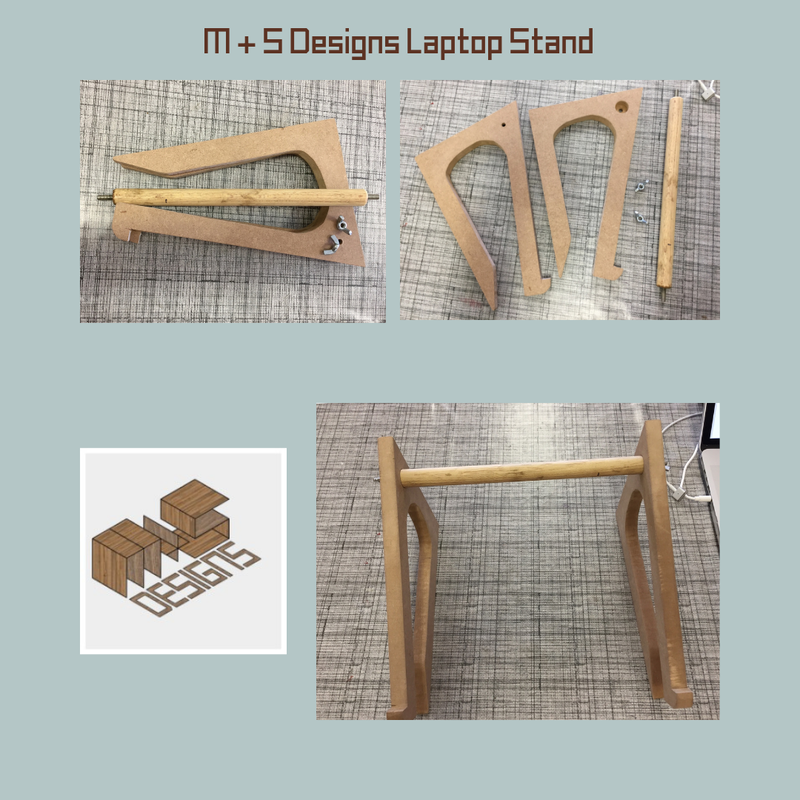 M + S Designs Laptop Stand was originally designed for the use in our Studio, but soon we were receiving requests from clients who would ask, “where did you buy that?”. We decided that there was obviously a need for a compact and easy to disassemble stand for portable use while on the move. 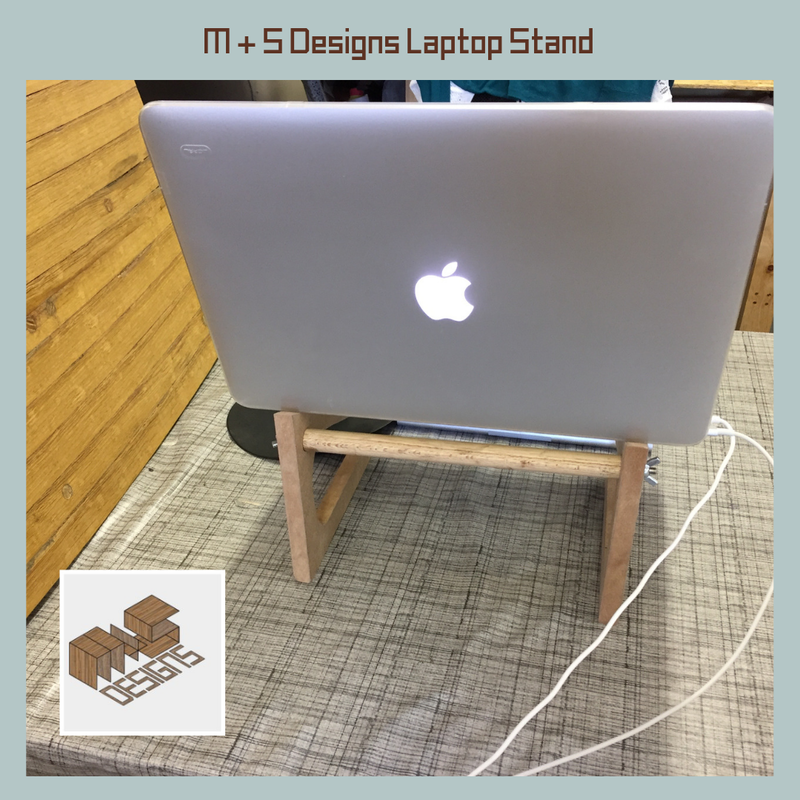 M + S Designs Laptop Stand has been designed to keep your laptop cool has been raised and angled for optimal usage providing the user with improved posture and an ideal eye level position. 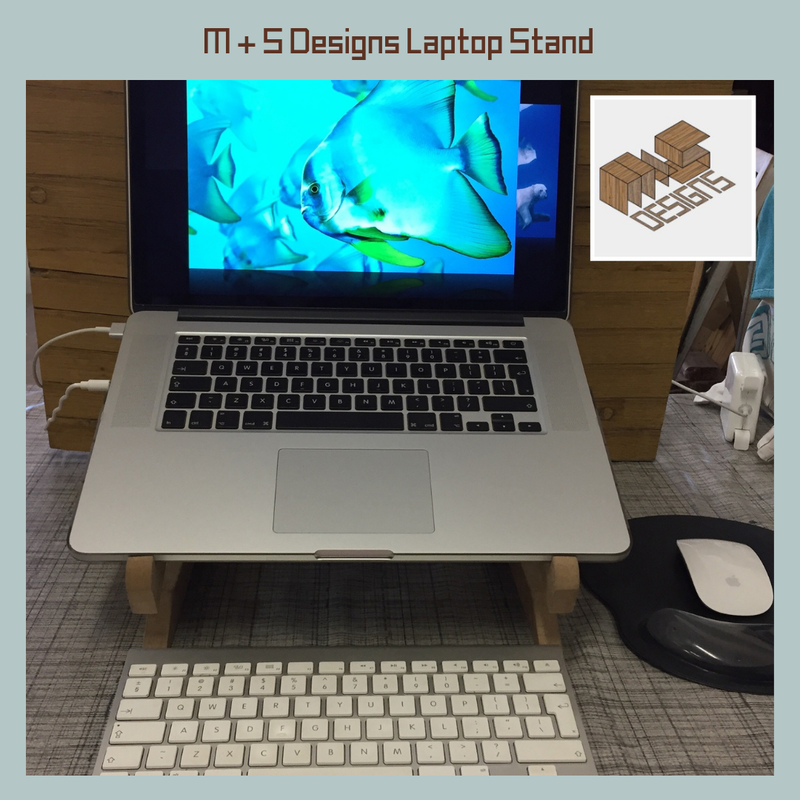 M + S Designs uses only sustainable wood and you can choose the stain or colour of your M + S Designs Laptop Stand. Corporate Orders and Personalised Gifts are available and made to order.